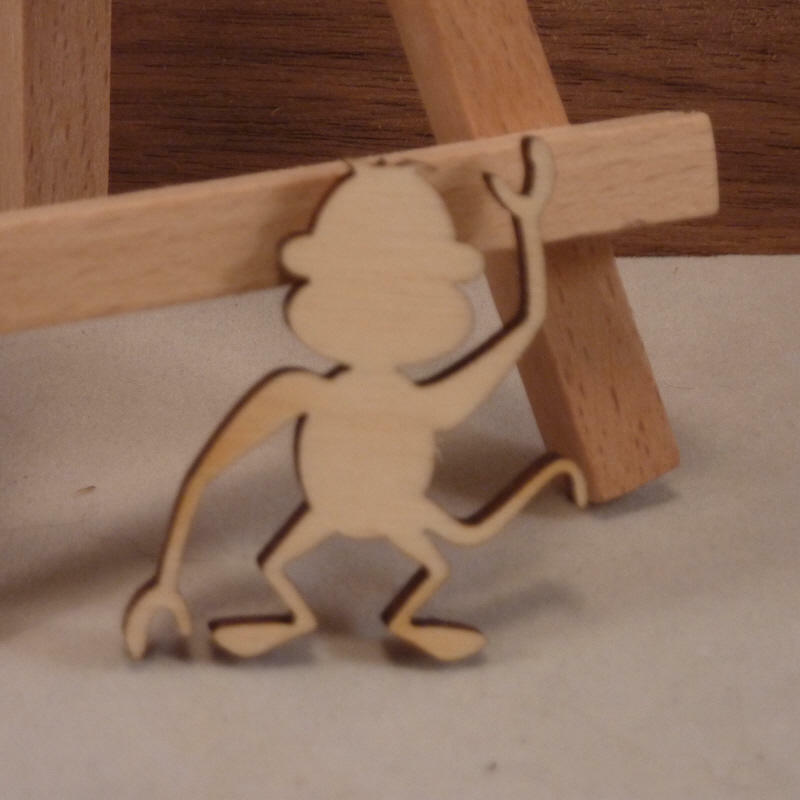 4mm birch plywood monkey craft tag. 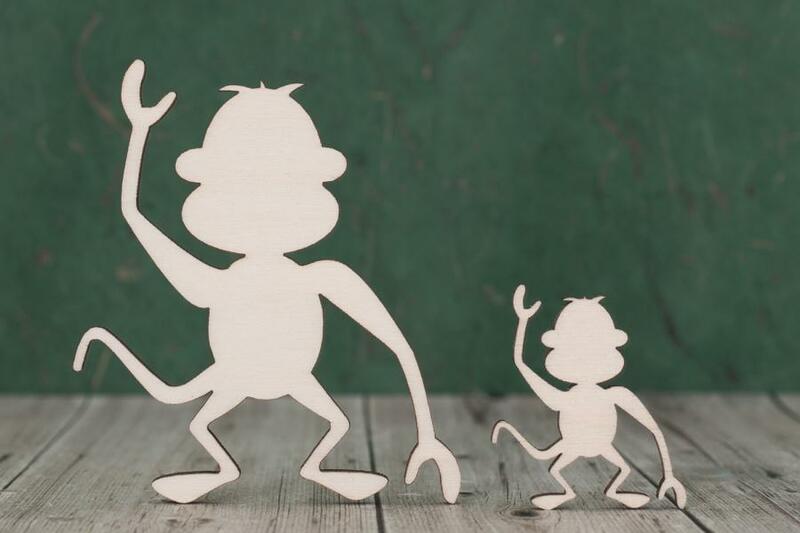 A set of monkey shapes, cut from 4mm birch ply wood using our in-house laser cutting technology here in the UK. 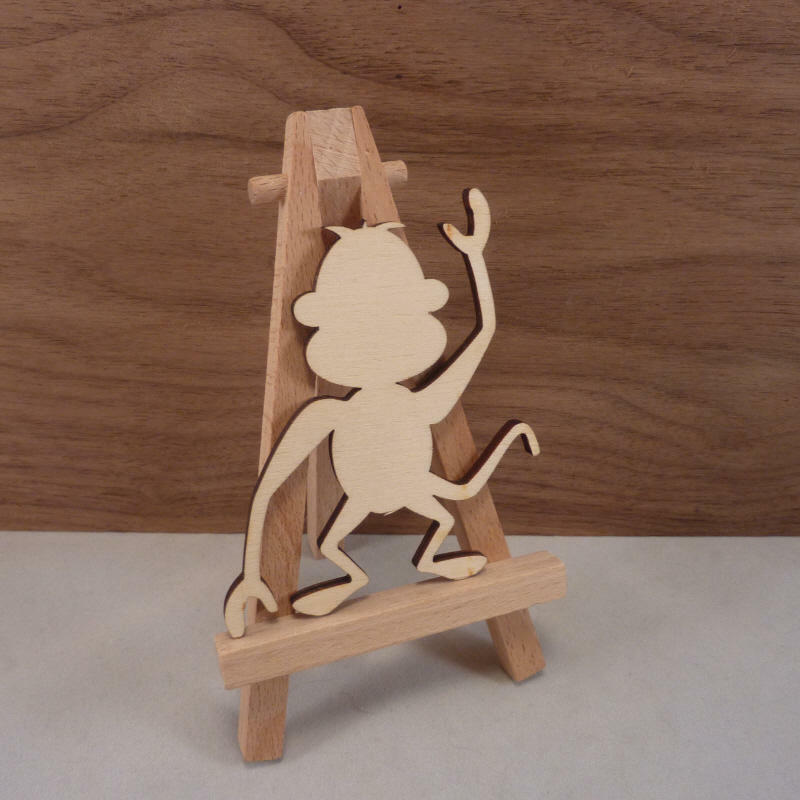 These wooden monkey craft blanks are lightly sanded both sides ready for you to paint and decorate as you wish. Let your imagination go wild with our wood craft blanks, they are ideal for hangers, tags, card making, embellishments, scrap booking, decoupage, sign and plaque making and many other art and craft projects. If you would like more than we are showing in stock, please get in touch and we can cut extra for you.